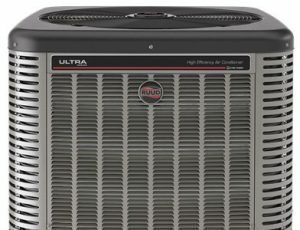 At Alans Air Conditioning, we’re focused on providing our customers with innovative Ruud ® products. Ruud ® is renowned for offering engineering solutions with lifetime sustainability in mind. From material selection and smart features to responsible recycling and beyond, our products are designed to give our customers greater control over their energy consumption while lowering their environmental impact. Ruud ® is transforming the industry by introducing ground-breaking, intelligent air solutions to homes and businesses around the globe, and we are the Pro Partner to outfit your home or office. As a RUUD Pro partner, we have access to the genuine manufacturer parts and always keep our trucks stocked during service calls. Each of our skilled technicians is trained in every aspect of Ruud ® products, so we are specially equipped to handle any repair. Better still, each unit is covered by warranty programs that offer worry-free protection.